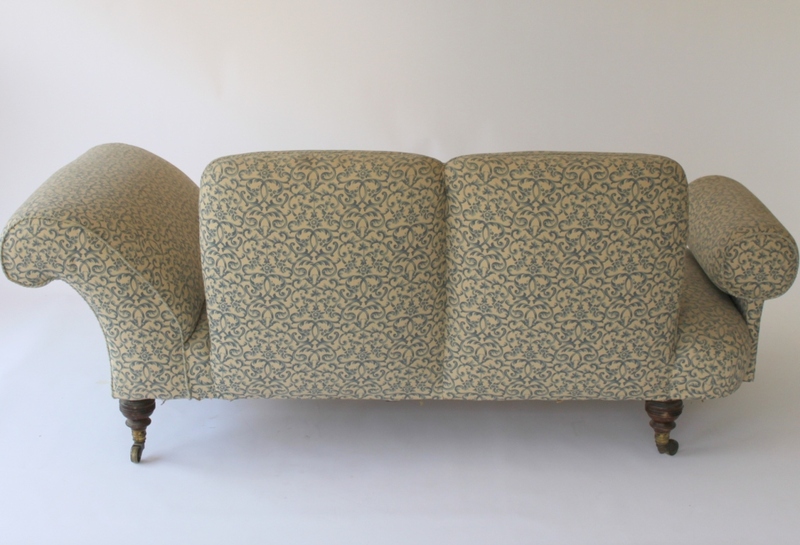 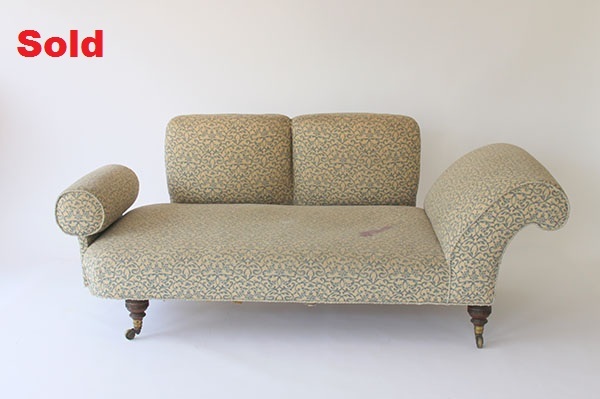 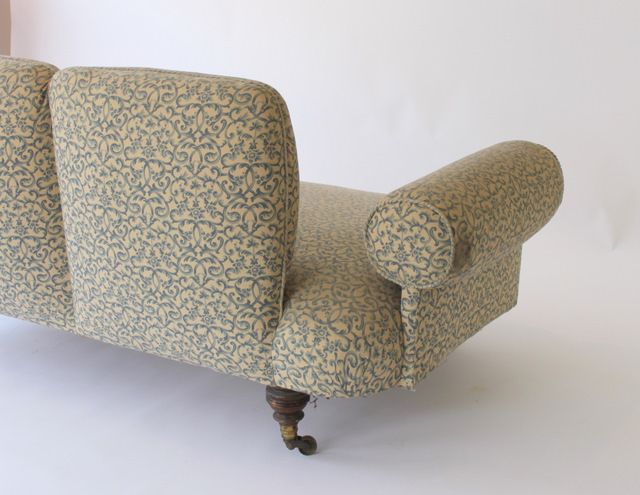 A rare and unusual design from the workshops of Howard and Sons, this is a highly collectable sofa. 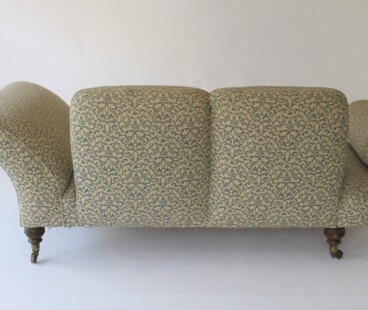 This design is way before its time with a beautiful shape and balance. A little background information on Howard sofas and chairs. 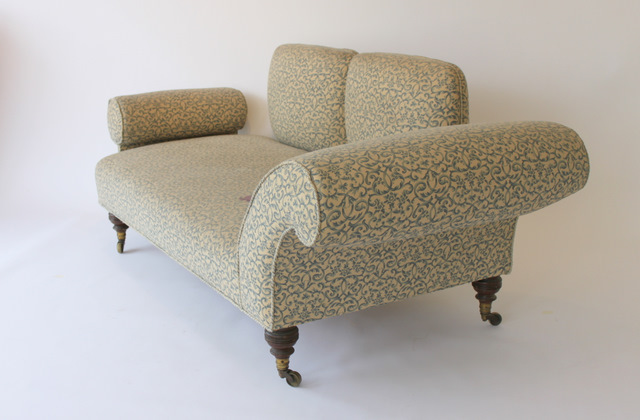 Howard and Sons really lead the way with the design and manufacture of upholstered furniture in the nineteenth century. 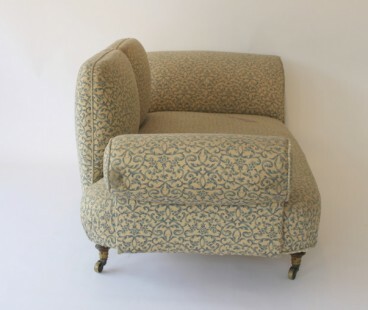 The upholstered easy armchairs, sofas, wing chairs, library chairs, stools, pouffes, chaise longues and day beds made by Howard and Sons were better than normal pieces of the same period in many ways. 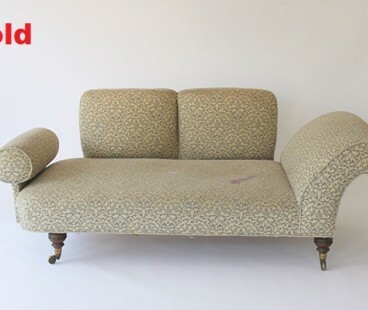 Details such as the “siege de duvet” upholstery system for comfort, pocketed cushions, quad lashed springs and so on are all key features that other makers were simply not using, whether through lack of competence or because of cost. 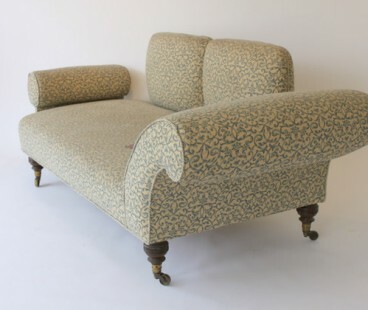 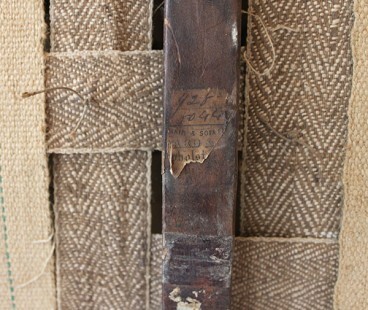 More interesting, perhaps, is that while leading the way as far as innovation and engineering is concerned, Howard and Sons held onto many decidedly traditional upholstering techniques long after other manufacturers had modernised. 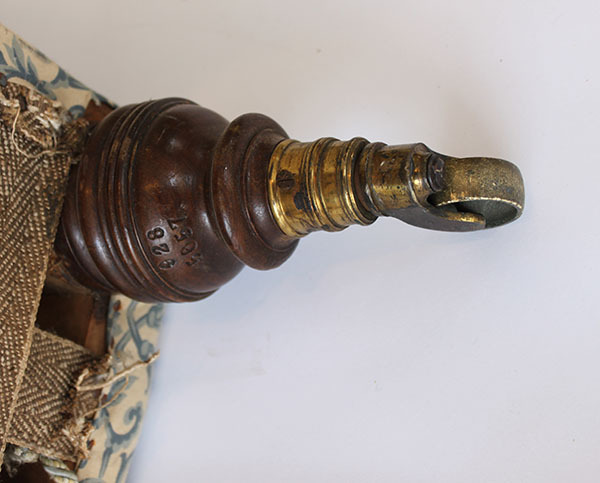 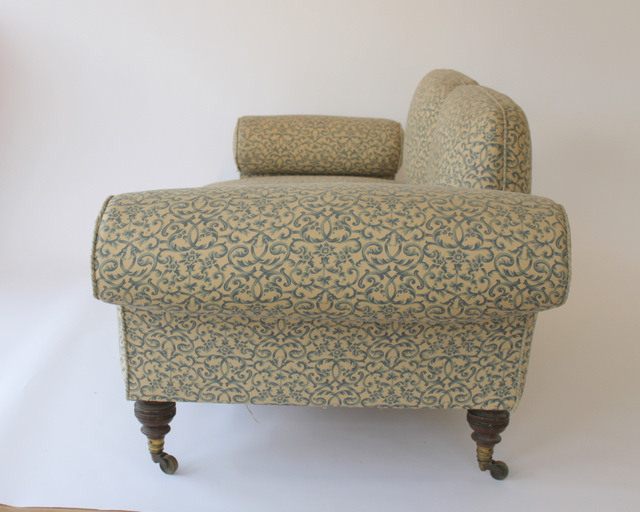 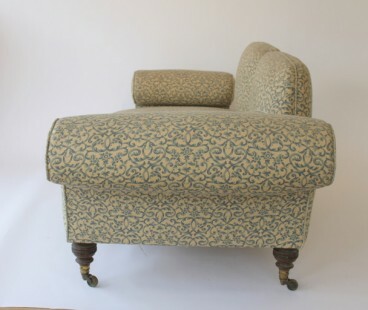 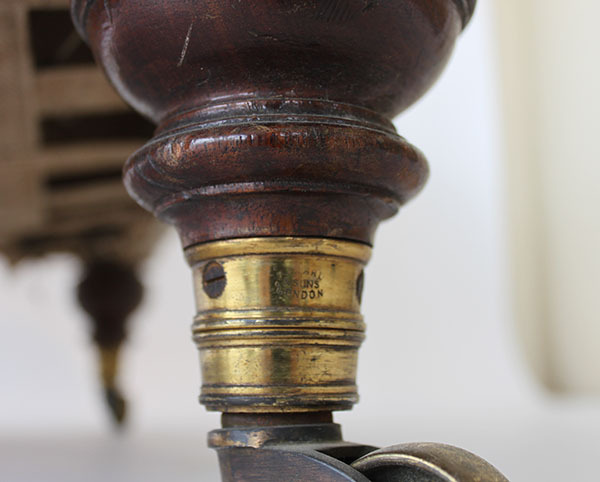 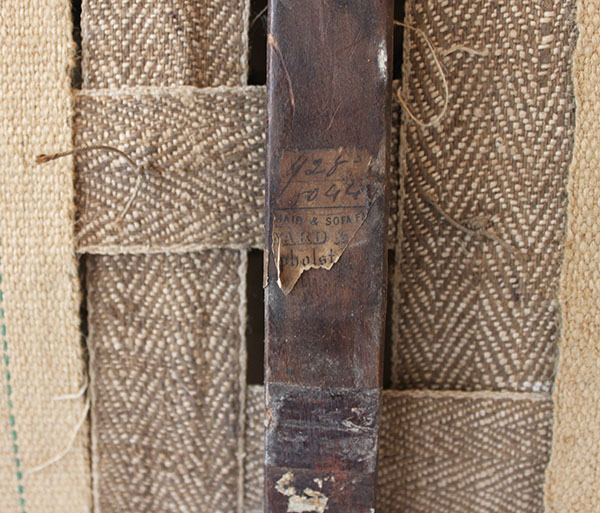 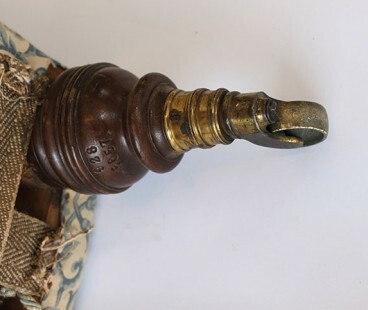 Some of these methods were decidedly eighteenth century and must have made Howard and Son’s upholstery much more expensive than that of other contempory makers. 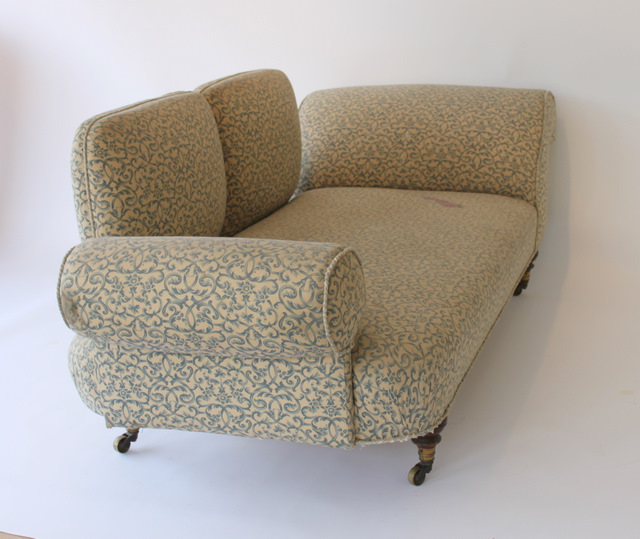 The comfortable armchairs and sofas made by Howard and Sons in the nineteenth century are now a very good investment for the modern collector. 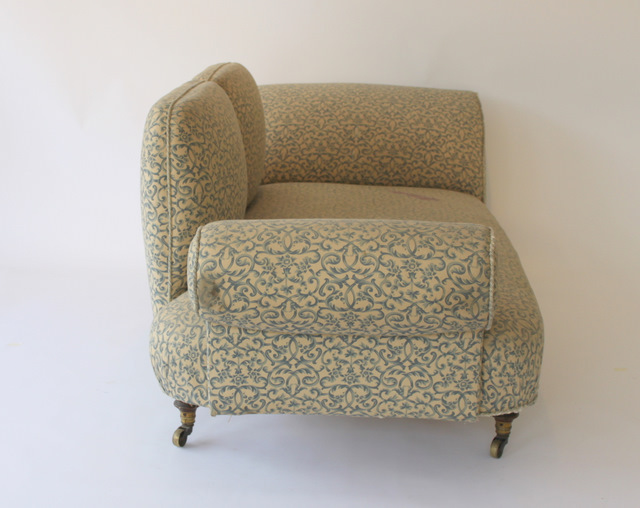 Armchairs and settees made by Howard and Sons they have become rarer and more sought after, increasing in value every year.